The 5 Best Ska Bands of All Time – The trend of music in the world is always changing, creating new genres, as well as the merger of the genre of music. As well as bands from different genres, some are still holding out and there are also already couldn’t survive in the music Industry. There are still consistent with one genre, but many who decide to switch to another genre were the trend. This time this blog will discuss about a genre of music that is still a lot of devoted fans, that Ska. Specifically, we will discuss the bands that influence on the existence and development of ska music. Also called best ska bands of all time. 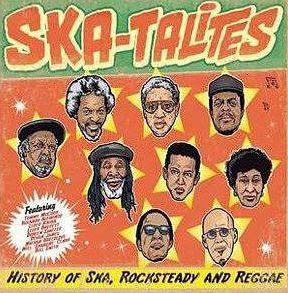 Ska is the music that began to develop around the year 1950-1960 in Jamaica. Initially the Ska is a genre that combines some elements of Jazz music, Rhythm and Blues played with upbeat rhythm. Musical instruments commonly used are guitar, bass guitar, drums, organ, trumpet, trombone and saxophone. 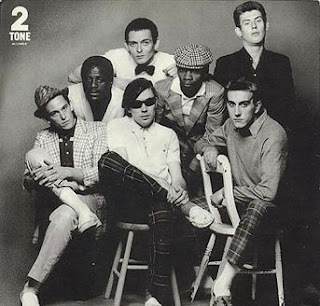 The Beat is one of the best ska bands ever, also known as The “English” Beat, is a band from Birmingham, England. Formed in 1978 and still exist today. With Hits “Mirror in the Bathroom” make this band become famous. Even The Beat ever entered the Top 40 of the UK singles charts. In addition to United Kingdom, the band also has many fans in Australia. The Beat brings New wave genre, ska and post punk. This ska artist has first personnel Andy Cox (guitar), Ranking Roger (lead vocals), Everett Morton (drums), Dave Wakeling (lead vocals, guitar), Wesley Magoogan (saxophone), Dave ‘Blockhead’ Wright (keyboards). During the career, The Beat has produced 5 albums, 4 album compilations and several singles. Next in best ska bands called “Sublime”. Yupz, Band from Long Beach, California, is a band formed in 1988. Sublime is a popular band with their flagship hits, including “Santeria”, “Wrong way”, “What I got”. During the career Sublime has produced 3 Studio Albums, 1 Live Album and 5 album Compilations. Sublime brings music of Ska punk and Reggae rock. The band is often called the best band on Third Wave Ska. But on May 25, 1996, their lead vocalist “Bradley Nowell” died of a h*roin overdose in San Francisco. The Specials are a Ska Punk band carries social and political-themed lyrics. 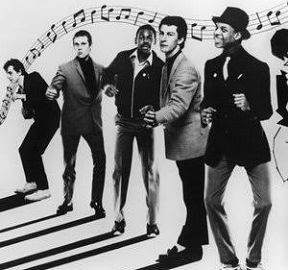 This ska artist formed in 1977 with the first name called The Automatics. They also join the genre of Ska, Reggae and Punk Rock. The band that had hits “Too much too young”, has produced 7 studio albums. With the last album, released in 2001 (Conquering Ruler). Briefly vacuüm because they focus more on political matters. They also plays a major role in publicizing the plight of the “Nelson Mandela”. But when the year 1993 they reunited. This Jamaica band began in the early ’60s. With one of their hits, “Guns of Navarone” which was released in 1965 made The Skatalites known up to now. The Skatalites until now managed to produce 17 Studio albums, 7 Live albums and 6 collaboration album. They succeeded in combining Ska, Jazz and Reggae. That’s what makes The Skatalites music different from the others. The Skatalites also became the best Ska bands of the moment. 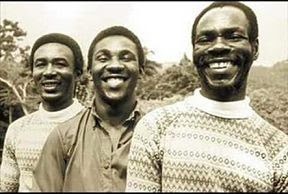 Toots and the Maytals are a vocal group that originated in Jamaica. Formed in the early ’60s, the group is also one of the group that popularized Reggae. At the late of the ’60s, they released the single “Do the Reggay,” which became the early use of the word “Reggae”. With consistency, this group has produced 23 Studio album until now. Their first album was released in 1964 (Never grow old). In 2004, the album “True Love” won the Grammy Award for Best Reggae Album of the Year. That’s five Best Ska Band for the development of Ska music. Until now, ska still exist and are still much demand. Although modern music has penetrated the music industry, but Ska music still has a place in the hearts of fans. Ska..ska..ska..